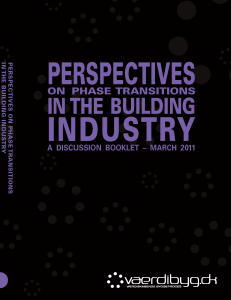 The purpose of this publication is to stimulate debate about phase transitions – what they contain and how they should be approached. The parties to the building process point to phase transitions as their Achilles’ heel, where a lot of knowledge and value is lost. The phase transitions are stages in the building process where many important parameters change in character, with new actors, tasks etc. So it is essential at precisely these transitions to ensure that knowledge and value is not lost but carried forward and reinforced. 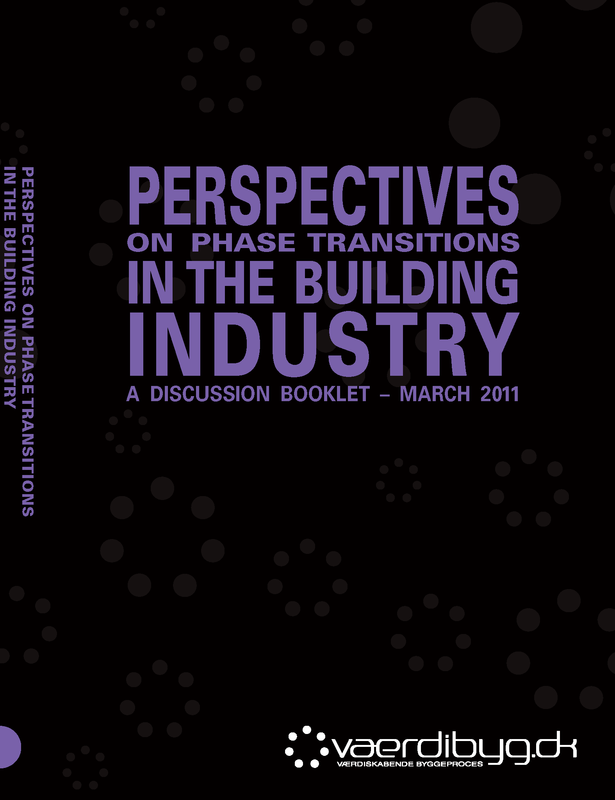 As there is a tendency not to consider phase transitions, there is currently only limited explicit knowledge of what actually goes on at a phase transition in the building process. 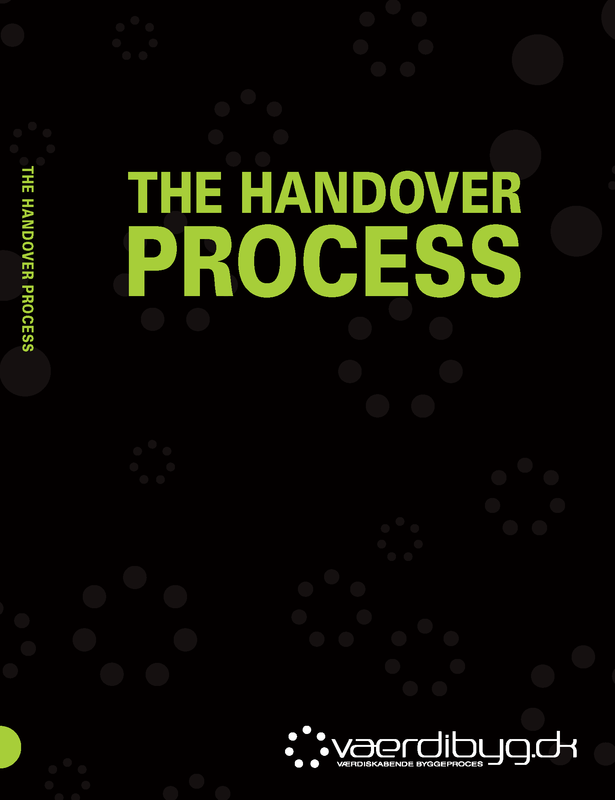 This publication has been produced to establish a common base of knowledge for the four project groups working on the phase transition problem under the auspices of Værdibyg, and to draw attention within the industry to this part of the building process. We expect this publication to stimulate debate about phase transitions, their content and role in the process, their characteristics etc. 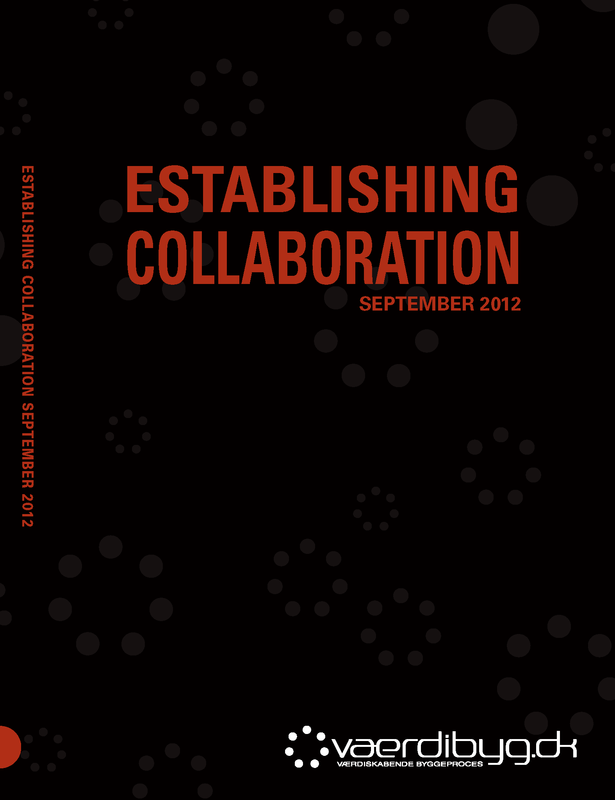 – in Værdibyg’s projects, in the industry, in training institutions etc. We do not propose any solutions to the phase transition problem but attempt to widen the space for solutions and to stimulate people to view phase transitions in fresh ways.